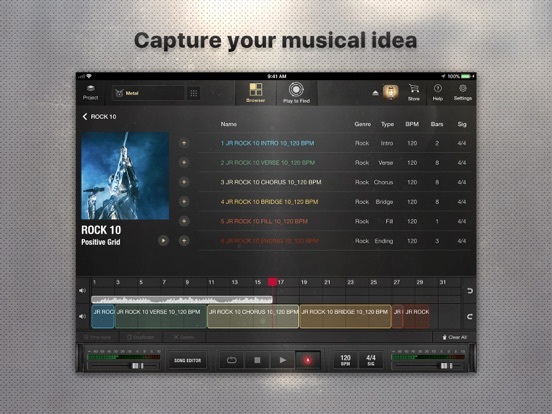 X Drummer will be your best songwriting partner. With a few finger taps, it quickly learns your song. You can even change the feel of each drummer depending on your personal taste. 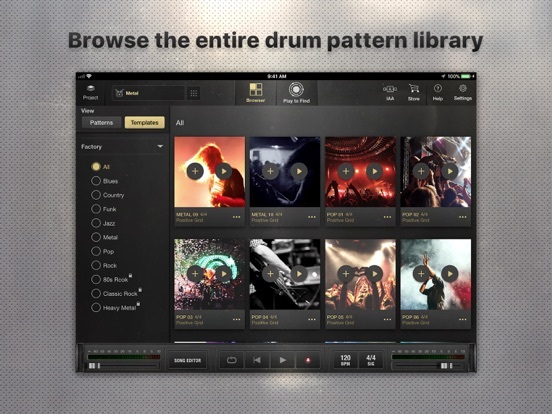 AI Drums will intelligently search through hundreds of drum patterns and drum kits and virtually match your songs. The more you play with AI Drums, the better it gets at learning your preferences. X Drummer lets you play, write, and rehearse with a virtual drummer, powered by the latest AI technology and deep machine learning. It works like magic; AI Drums listens to your guitar pattern and sorts out a matched drum pattern that best suits your compositions. 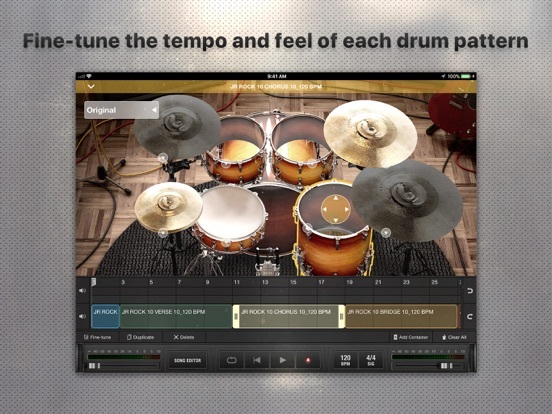 Just tap to record and the app will learn and play the right drum pattern. Our super intuitive browser and drum track editor lets you easily search and preview drum grooves matched with your music. 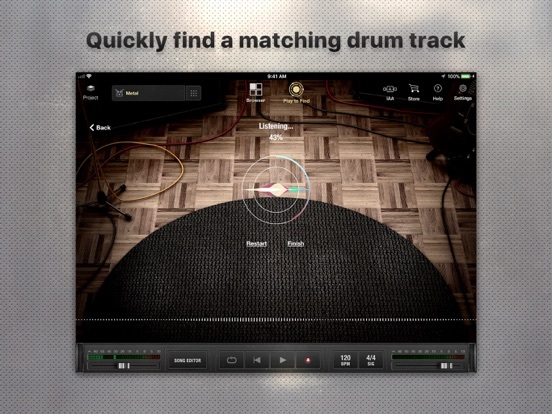 With a simple tap of your finger you can easily arrange and edit your drum track in a seconds. Change any and every drum component.X Drummer let’s you edit the basic parts of the kit, like the drum head and damping ring. You can go into deeper drum customization by changing the individual instrument options such as pitch, attack and resonance. In addition to designing your drum sound, you can also design the look and feel of your drum kit to make it as unique as your sound. 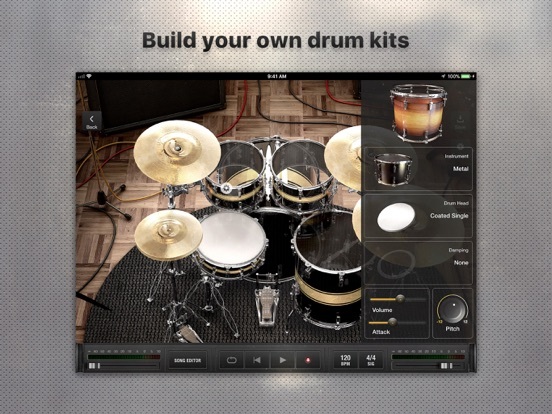 X Drummer gives you instant access to dozens of cloud-based drum kits and drum patterns created by professional drummers, plus thousands more created by X Drummer users just like you. With a simple finger tap, an infinite cloud-based drum kit and pattern library will be available to preview and download.